The two main guides, Miller’s and Dorling Kindersley, are widely available in bookshops and on websites like Amazon. The fact they come out annually and have big production teams suggests that, to be viable, print-runs must be substantial. The first challenge was to find the right people to talk to! Both guides are part of huge publishing groups and I was sent along many blind alleys by switchboard operators at their London HQs. The joy of finally tracking down the editorial teams was palpable. Naturally the purpose of a price guide is to quote prices! Having acquired copies of the guides I saw that ceramics were attributed to a dealer or physical auction house. John English Gifts is the only dealer with a shop and being in central London is accessible for anyone wanting to check details, so I used this as a resource for prices. To reflect current values I based my selection mainly on ceramics that Brian Pannaman had actually sold in the past year or has for sale. Len Parsons of Roding Arts was also consulted and has some pieces attributed to him. To get Hazle's details included, I gave results from the Collectors’ Day Auction last year too. My aim was to show photogenic pieces with lots of details in a wide range of themes and building styles. Both Open and Limited Editions were to be included, ideally with at least one piece front-signed Hazle Boyles per submission. To find ceramics that satisfied most of these criteria and match them to a price that was current and consistent with other Hazle dealer values proved quite difficult and did constrain my choices somewhat. I also compiled a list of endorsements not intended for publication but to add weight to the submission. They are listed at the end of this page. Part of the Penguin Group, the commissioning editor at DK initially invited me to submit a PDF with images and text via email to The Price Guide Company which compiles the above and other guides. Confusingly, these are currently edited by Judith Miller who now works for this rival company! Mark Hill, a collectables expert who co-edits the title with Judith, rang me to say that they usually gather material themselves and therefore don’t accept submissions. The reason given was that if the floodgates were allowed to open they would end up being approached by all sorts of people with tatty things. I was mentally chalking my submission down to “experience” when he said they had decided to make an exception here! Mark knows Eric Knowles well and was impressed by his and other endorsements. He also said it was obvious that these were high quality collectables. The one page devoted to Hazle Ceramics will comprise introductory Collectors’ Notes and around 7 images with text and price ranges. Another DK regular feature called A Closer Look will show both front and back of the Dickensian Old Curiosity Shop LP30 launched at the Dickens’ Museum in 2003. Arrows will point to the Painter’s and Impress Marks, Year Letter, plus Hazle and Cedric Charles Dickens’ signatures in gold. 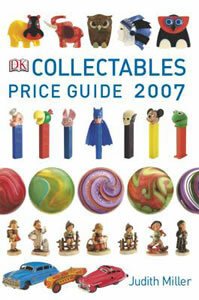 One of many titles including Miller's Antiques Price Guide started by the world famous Judith Miller. She sold Miller’s Publications several years ago and it is in currently owned by Octopus Publishing. The sub-division that produces this book is tucked away in the small pretty town of Tenterden in Kent, which Chris and I visited a few years ago. Once I had described what was on offer over the phone my editorial contact seemed keen on the idea of Hazle Ceramics as a new entry. As suggested, I sent a CD of potential material early this year when they would be compiling the 2007 guide. The ceramics had to be different to the ones for DK so it was a case of starting again and re-applying the principles I had developed first time around. My contact then rang to say that this was just the sort of collectable they wanted in their guide and the fact that the ceramics had background information made them all the more interesting. I was told they would appear in the book but the final selection was up to the editor. Later I rang to get details of an editor in London who handles other Miller’s titles. My contact mentioned that the Collectibles Guide was now being edited by someone new who was doing things differently - and there was a possibility that Hazle Ceramics might not be in it after all. My immediate reaction was, “Don’t do this to me!”. But last week the news came through that the new editor had definitely chosen five out of the eight Hazle images submitted. There should also be introductory notes. Phew! Although it has taken up a lot of time, it was enjoyable getting Hazle Ceramics into these books and having a glimpse into the world of publishing at the same time. All the people I dealt with were very friendly especially my contact at Miller’s who talked about the difficulties of compiling such guides. Having striven to get the information together for my own relatively small contributions I can well imagine. I also enjoyed the compiling the endorsements below which people might find interesting. It is not exhaustive but I put in the most global names I could remember. Well done. A lot of work for you, but this has to be a good move. It will give the ceramics status, and it will introduce them to a wider, and a younger audience. Let me know when the guides, with the Hazle entries, are printed. British Giftware Association Award for Best New Collectable won by A Nation of Shopkeepers in 1991 for their “originality and value”. The Oxfordshire Museum in Woodstock bought some early ‘Cotswolds’ Hazles. The Bank of England had money boxes of ‘The Old Lady of Threadneedle Street’. Compton & Woodhouse commissioned pieces for a Down Memory Lane collection. Kraft Foods, Diageo, Standard Chartered Bank and others commissioned pieces. Charles Dickens and Sherlock Holmes Museums in London sell themed ceramics. RNLI and National Trust catalogues have featured Beside the Sea range. Magazine articles including four features in Collect it! 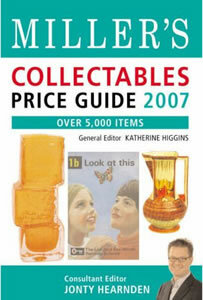 In 2004 ITV’s This Morning ran a series on collectables as good investments. Eric Knowles said A Nation of Shopkeepers were a wonderful range of buildings. At 15th Anniversary Event in 2005 Eric said the ceramics were fascinating and gave a good three-dimensional effect without taking up much space. Both 2007 Guides were published in the autumn of 2006 and are on display in Hazle's Pottery Barn at Barleylands Craft Centre near Billericay, Essex.